Additional Info: A genuine, approachable, funny and down to earth person, Ideal for photography! I started to realise that I had a knack for this when I won a competition with Samsung and my work was exhibited in the London Design Museum. I saw some colourful pegs on my sisters washing line when paying a visit after work and I happened to have my SLR on me. Afterward I thought if I can capture something beautiful in the obscure then I should continue to do so. It was a bizarre experience for a North East lad who happened to be a butcher. I studied art and design at the Cleveland College of Art and Design straight out of school and I had no idea that photography was the direction I would end up in as I had a thing for paint and pencils at the time. My first wedding shortly after this was a favour to a friend as she didn't acquire a photographer in time unfortunately. Fortunately for me, I loved it and since then I haven't looked back. I love every wedding that I do because it's such a privilege to be an important part of one of the most significant days in a couples lives together. I don’t believe in restricting the amount of images you can have. I capture a lot of images on the big day and I don’t see the point in withholding any, you get everything on a disc in all my packages. My style tends to be that of a less intrusive and much more natural form. Capturing the emotion tends to be my priority and on such a big day the emotions are abundant yet fleeting. I always seem to be at the right place at the right time with a little footwork. Traditional group photos are also included to keep everyone in the family happy. I always allow your guests to take photos while I’m taking photos except the moment after the ceremony when you both and I can have a walk around the grounds and collect your thoughts while capturing the moment. So here I am doing what I love. Fees: Consultations are included in each package. 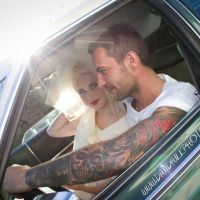 Wedding Package 1: £600 includes ten 8 x 12" photos + one HD slideshow + 4 hours coverage. Photo books are 36cm x 30cm closed and are available in a leather or linen finish. Portrait shoots: £60 studio photo shoots. Very friendly anyone can take part kids, family, even pets! Even includes one 12x18 inch and five 8x10 inch professional prints + images on disc for personal distribution. Event coverage: £80 for 2 hours includes events such as engagements, party events etc. Includes one 12x18 inch and ten 8x10 inch professional prints + images on disc for personal distribution + one HD sllideshow. Day out: £80 with an A3 canvas and your images on disc. This type of photo shoot is so versatile i.e. wedding prep, family day out, or just to add something extra special to your day. All images will be given to clients for free personal distribution only on all packages. Images will be provided on a disc inclusive of airbrushing, retouching etc. which will be provided as standard.